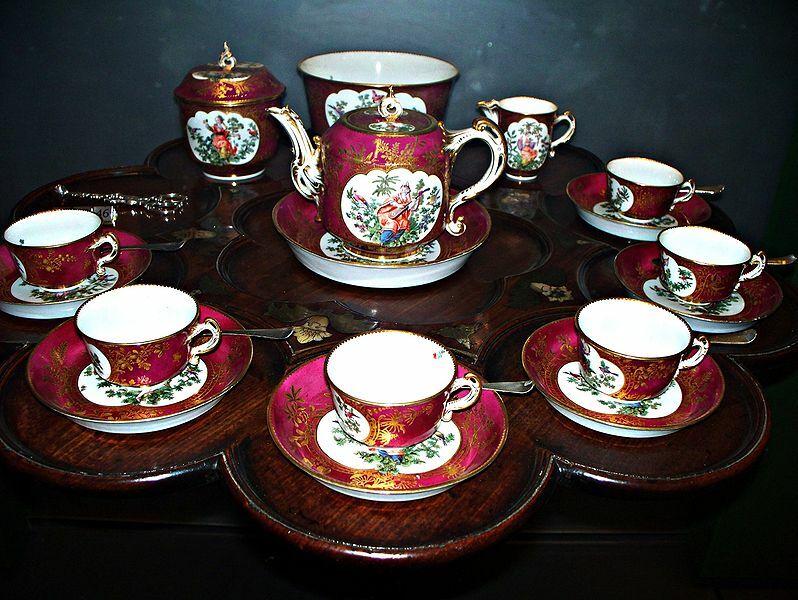 English Tea Service, 1759-69. Victoria and Albert Museum. Behn, Aphra (1640-1689). English woman playwright, poet, and prose fiction writer, associated with the English Restoration theater, author of the novel Oroonoko, or the History of the Royal Slave . Burney, Frances (1752-1840). English novelist sometimes called "the mother of the novel." Her most famous novel is Evelina . Burns, Robert (1759-1796). Scottish poet celebrated in England as "the peasant-poet"; his best-known book is Poems, Chiefly in the Scottish Dialect ." Defoe, Daniel (1660-1731). English novelist, author of Robinson Crusoe and Moll Flanders . Equiano, Olaudah, or Gustavus Vassa, (c. 1745-1797). Author of The Interesting Narrative of the Life of Olaudah Equiano, or Gustavus Vassa, the African. Written by Himself . Autobiography of a man enslaved in Africa, who eventually purchased his freedom and lived as a free man in England. Fielding, Henry (1707-1754). English novelist, author of the 18th-century comic novel Tom Jones . Gray, Thomas (1716-1771). Great poet of the 18th century who wrote very little, author of "Elegy Written in a Country Churchyard." Johnson, Samuel (1709-1784). English essayist, playwright, novelist, biographer, and lexicographer. Pope, Alexander (1688-1744). English poet, satirist, translator, editor, and literary critic. Richardson, Samuel (1689-1761). English novelist, key figure in the history of the English novel. Smollett, Tobias (1721-1777). Scottish author of picaresque novels, author of The Expedition of Humphry Clinker . Sterne, Laurence (1713-1768). English author of the comic novel Tristram Shandy . Swift, Jonathan (1667-1745). Anglo-Irish satirist and essayist, author of Gulliver's Travels . "The English Language." Ed. C.E. Perch. A collection of papers on the history of the English language, as spoken and written in earliest times through the eighteenth century, in England and in countries around the world. Bradstreet, Anne. (1612?-1672). Early American poet. Franklin, Benjamin (1706-1790). The Autobiography of Benjamin Franklin . American writer, journalist, autobiographer, scientist, and statesman. Wheatley, Phillis. (1753-1784). Born in Africa and brought to Boston as a slave, she was the first black American to publish a book. Later freed, she became internationally famous.